Birmingham Civil Rights Institute Reinstates Angela Davis Honor - Are Black-Jewish Tensions Rising Again? Are Black-Jewish Tensions Rising Again? 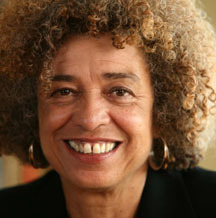 The Birmingham Civil Rights Institute (BCRI) board voted to “reaffirm” Dr. Angela Davis as the recipient of the Reverend Fred L. Shuttlesworth Human Rights Award. “It is only through our ability to talk openly and honestly with one another that we can achieve true understanding and appreciation for one another’s perspectives,” said Reverend Thomas L. Wilder, interim BCRI Board Chair. “We ask everyone to partner with us to rebuild trust in the Institute and its important work,” he continued. The Board and the City of Birmingham are trying to “rebuild trust,” after the BCRI rescinded its decision to honor the Birmingham native. The actions also opened Black-Jewish wounds when Birmingham mayor Randall Woodfin, who is Black, said the BCRI made the rescission decision “after protests from our local Jewish community and some of its allies.” Social media went wild. Davis was born in Birmingham in 1944, went on to join the Black Panther Party, and in the early 1970s placed on the FBI’s “Ten Most Wanted List.” She spent 18 months in jail and on trial before her acquittal in 1972. BCRI is a museum and educational research center that focuses on Birmingham’s role in the Civil Rights Movement. Shuttlesworth was a U.S. civil rights activist who led the fight against segregation and other forms of racism as a minister in Birmingham. He was also a co-founder of the Southern Christian Leadership Conference. The actions opened Black-Jewish wounds when Birmingham mayor Randall Woodfin, who is Black, said the BCRI made the rescission decision “after protests from our local Jewish community and some of its allies.” Social media went wild. An inter-generational group of civic, community, religious, legal, educational and business leaders in Birmingham plan to honor Davis anyway February 16 during a day of community dialogue and during an evening event titled “A Conversation with Angela Davis.” Meanwhile, several BCRI board members resigned and the BCRI is “patiently” waiting for a response from Davis. See Also: Jewish human rights group writes to Nancy Pelosi to complain about ‘extreme’ comments from newly elected Democrats Ilhan Omar, who is of African descent, and Rashida Tlaib, who represent a majority Black district.